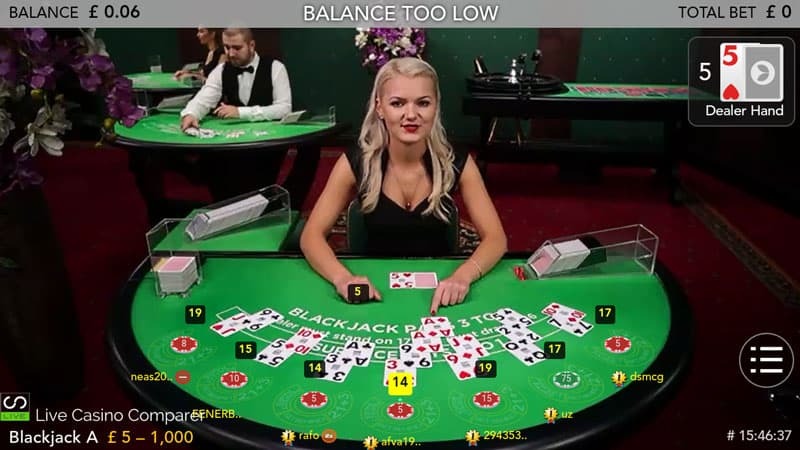 Evolution has one of the most impressive Live Blackjack solutions in the Live Casino market. From a players perspective, it’s as close to playing in a Land Based casino that you can get. In fact, there are a few innovations that keep the game ticking along. When the table is full, the online game is actually faster than a land based game. 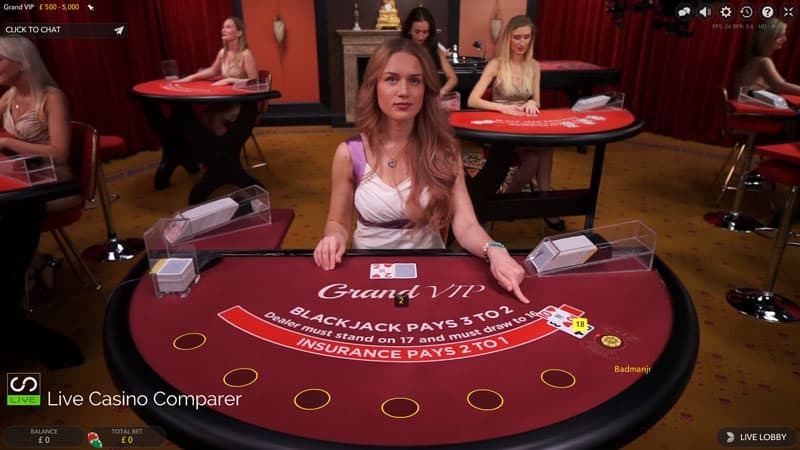 Evolution Live Blackjack is played to Vegas Rules on a 7 seat table. 8 decks of cards are used and they are replaced when ¾ of the shoe has been dealt. 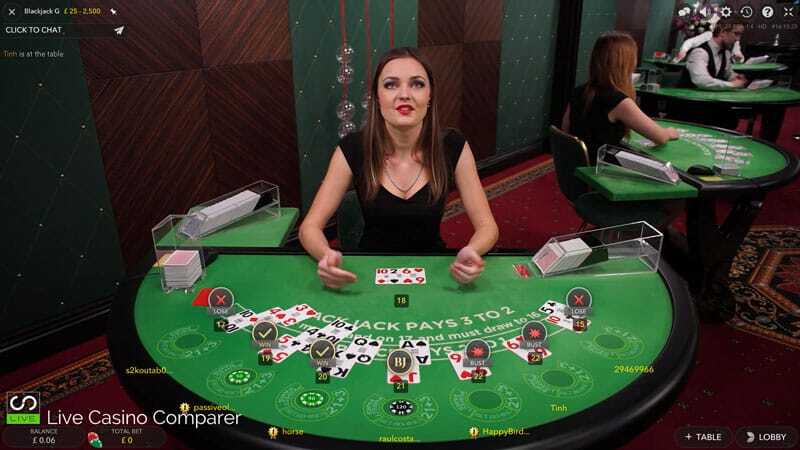 There is a range of side bets available and you can split matched pairs and double your hand whenever you like. Split Aces only get one card. 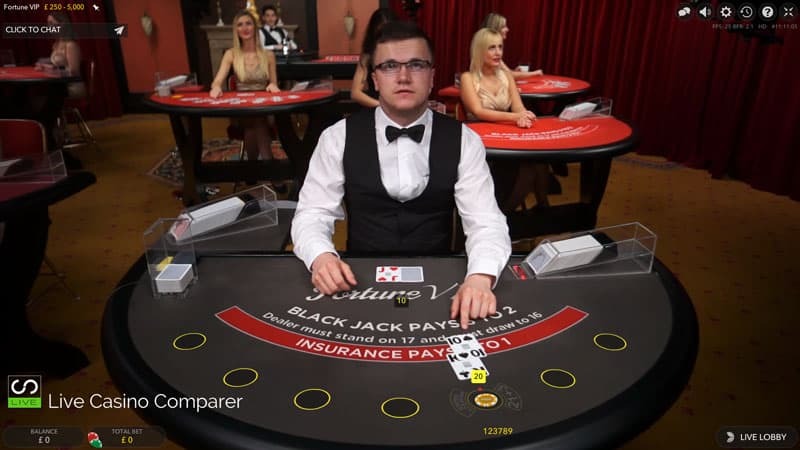 If the dealers up card is an Ace he will check for a Blackjack after insurance is offered to the table. If he has a Blackjack the game round is over. The cards are dealt from a manual dealing shoe. This is either shuffled by a machine or on a separate table. The cards are generally shuffled in full sight of you as your playing. 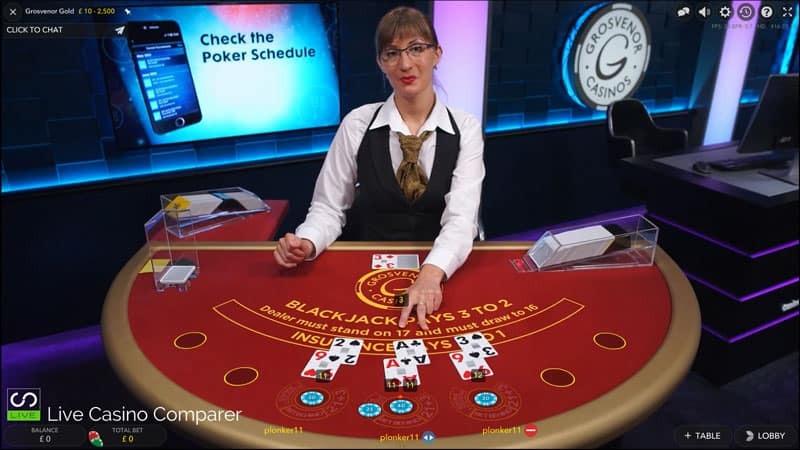 Blackjack is hosted from primarily two studio locations. The biggest by far is the Riga Studios in Latvia, where most of the English speaking tables are located. The International language tables are hosted in a Studio in Malta, where you’ll find Dutch, German, Flemish, Greek, Turkish, English, Danish, Russian, Swedish & Italian. Games are also streamed from the new studio in Romania. 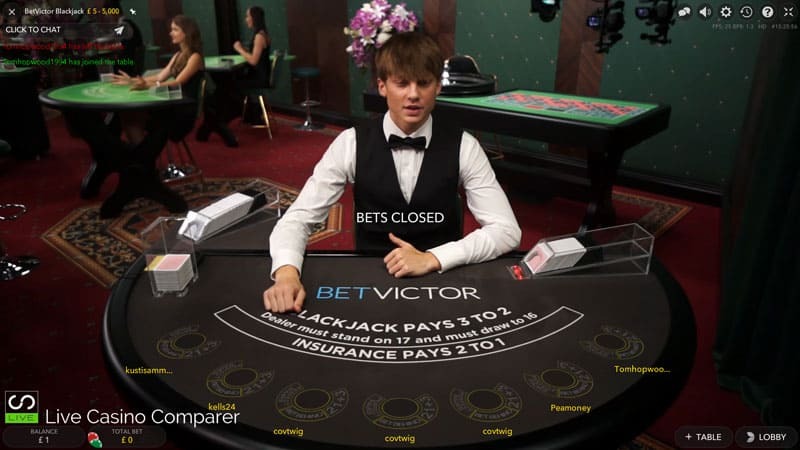 General play – These are generic tables that all casinos have access to. They are split by Minimum and Maximum stake value. There tend to be more tables open for lower stakes players and less for the VIP or High Rollers. 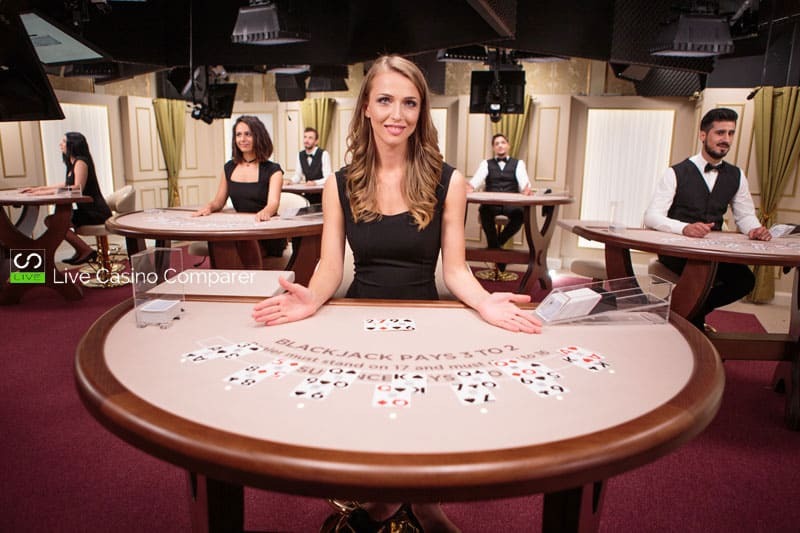 Dedicated tables – where online casinos have invested in their own table areas just for their players. The tables and areas are fully branded and normally use the same dealers. At busy times there is more chance of getting a seat on one of these tables. Personally, I always try and play somewhere that has dedicated tables. 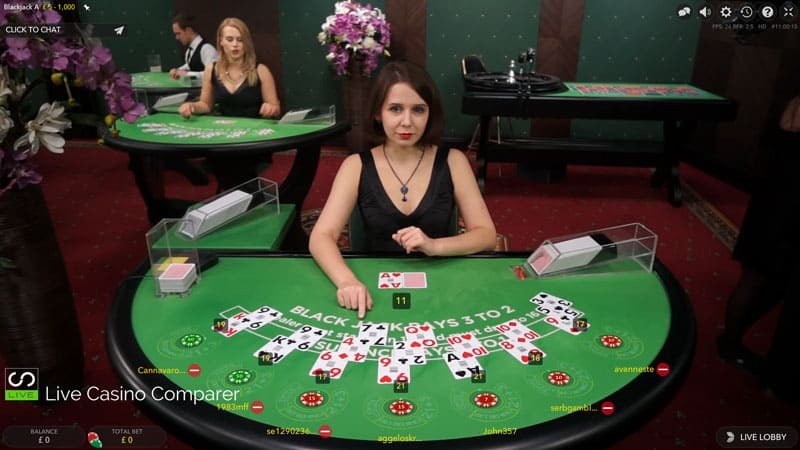 Live Blackjack can be played on PC, Mobile & Tablet. The playing interfaces for Mobile are slightly different, (not much), just to allow you to see the betting options and cards. While playing on a phone can be great, you can get a much better experience playing on a PC or Tablet. The playing Interface comes with loads of configurable options that can be tweaked to suit your playing preferences. 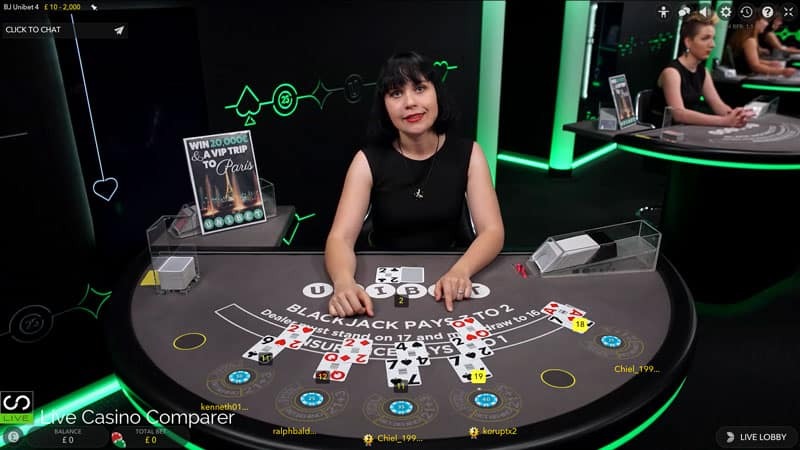 Player Chat – This is where you can chat with the dealer. You have the option to turn off other players chat, but this is only needed when you’re playing on a dedicated table. Generally, you can’t see other players chat on the generic tables. Viewing Options – You can adjust the video quality settings between Auto, Low, Med, High and HD. Auto is the best setting as it adjusts the quality to your connection speed. 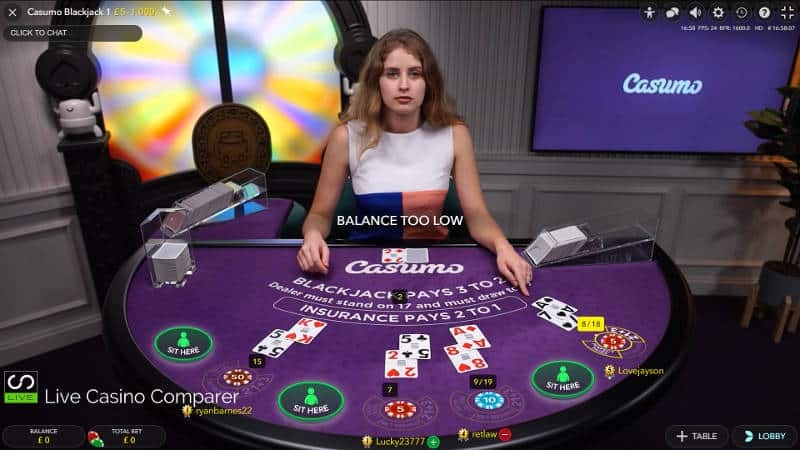 If you choose low you’ll get the Classic Interface of the dealer and a computer generated image of the table. Volume can be controlled up/down or on / off. You can also adjust either the dealer voice or game sounds. Side Bets – the settings can be adjusted to either show them or not. For Bet Behind you can decide whether you want other players to be able to Bet Behind you. (This can be a bit intimidating so a very useful feature). If you like playing bet-behind then you can select how you want the software to react when the player in front is splitting and doubling. When the player doubles you can either double or not. When he splits you can choose to split with him or only play the left hand. The Account History tab shows all of your playing histories, giving the game type, the bets you placed and whether you won or lost. 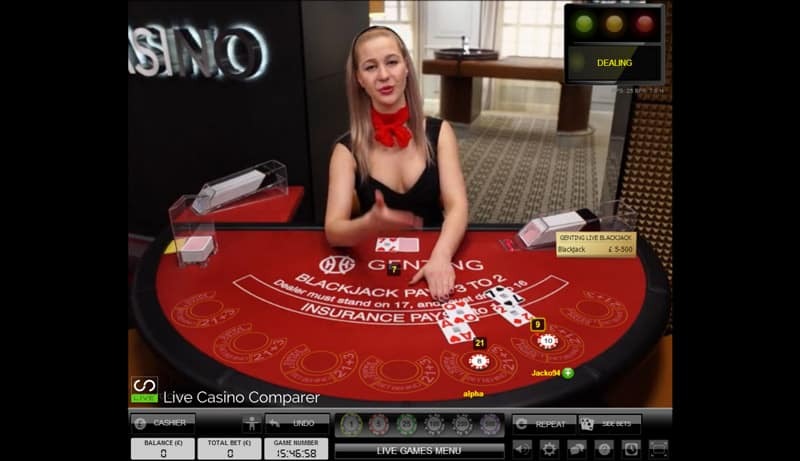 The Help section contains detailed information on how to play live blackjack and what all the settings do. 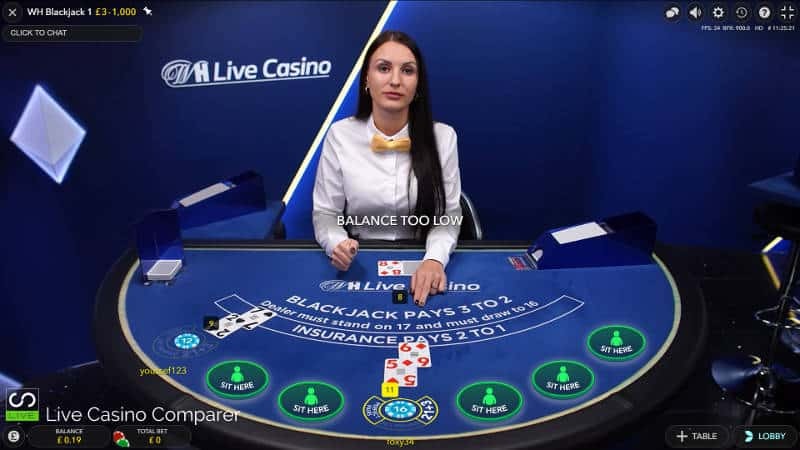 Once you’re in the game there are a number of useful features and options that appear while you’re playing Evolution live blackjack. Pre-Decision – This facility allows you to decide the action you want to take on your hand before it’s your turn. Options are Hit, Stand, Double and Split. This can really speed the game up. 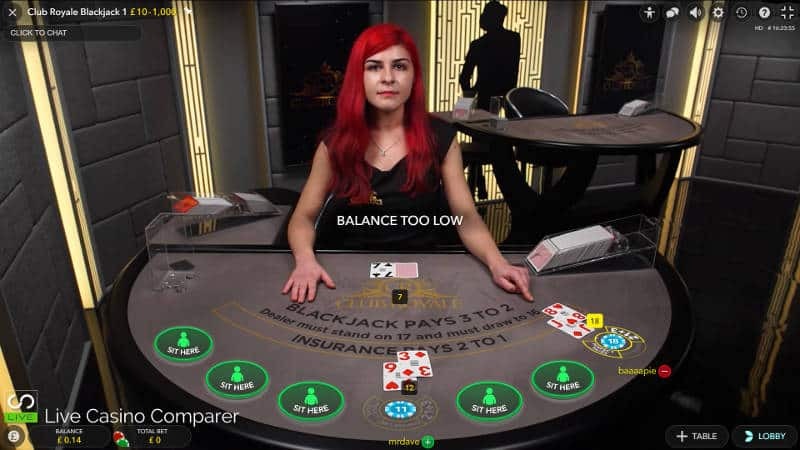 Deal Now – If you’re playing on the table on your own then after the last hand has finished you’ll have the option to press the Deal Now button. This runs the betting clock down to zero and tells the deal to deal immediately. I love this feature because I like to play quickly. I don’t get much opportunity to use it though because the tables are normally busy at the times I play. 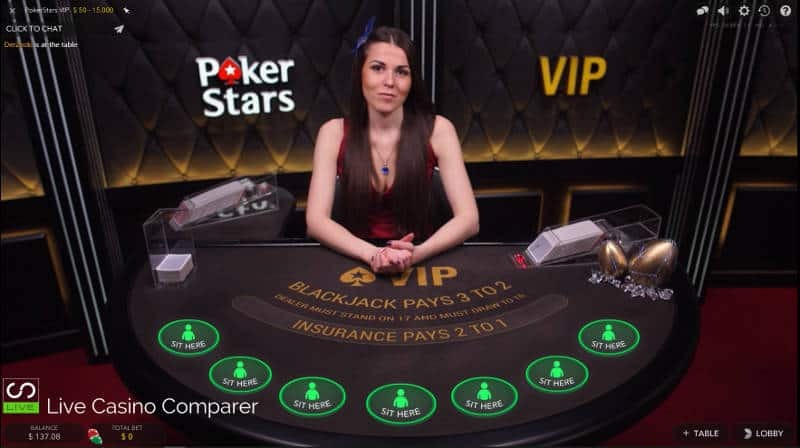 A nice feature displayed on the screen is an icon that indicates the Hot Players on the table, showing how many hands they have won since their last loss. This is useful to know when you’re choosing who to bet behind. Side Bets are displayed on the table (if you haven’t disabled the options in Settings). Bet Behind, where you can place a bet behind someone else. 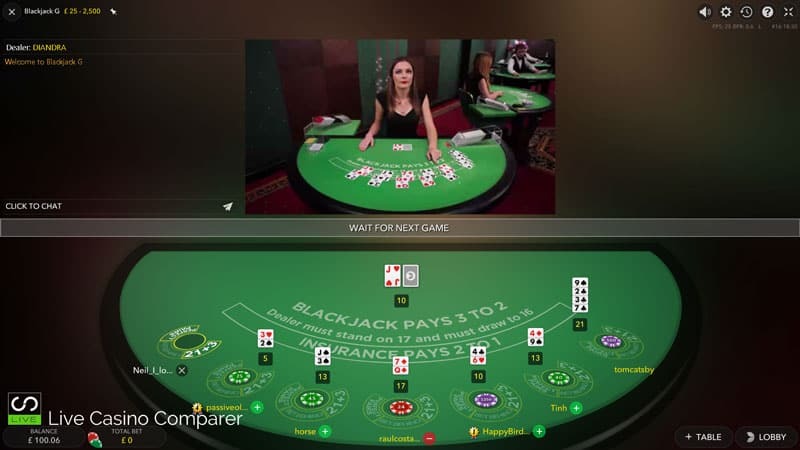 Perfect Pairs where you are betting that your first two cards will be a pair. There are different payouts depending on the combination of cards you get. 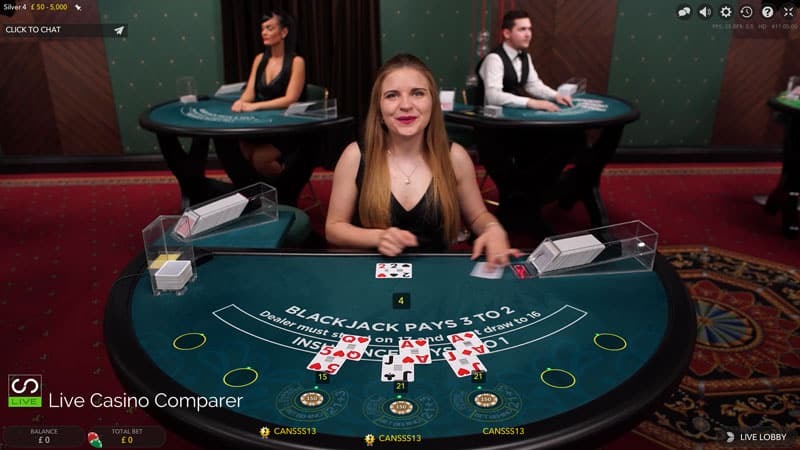 21+3 is a side bet that pays out if your two cards and the dealers up card make a Poker hand. Different hands attract different pay-outs. Insurance – The insurance option appears when the dealer is holding an Ace as their up card. 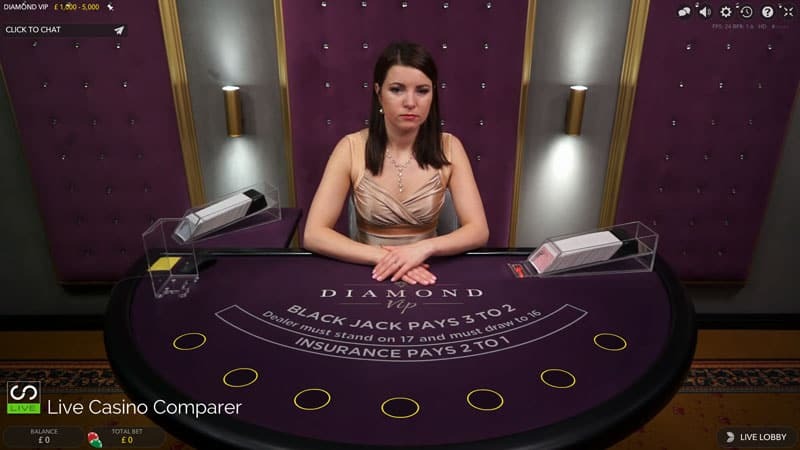 You can choose to insure your bet against the dealer having a Blackjack. It will cost you half your initial stake. 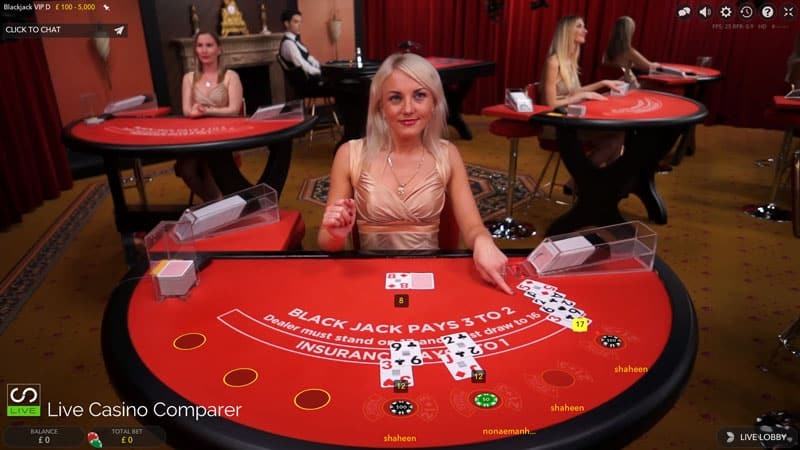 Blackjack Party – Comes with two dealers. This is a low stakes game suitable for new players or those that like lots of fun chat. Standard Generic Tables – These tend to be Green in colour and are aimed at low to mid stakes players. The Red VIP Tables – They have been around for a while and form the bulk of VIP tables. The Silver VIP Table – for VIP high rollers. Platinum VIP – for VIP high rollers. Diamond VIP – for VIP high rollers. Fortune VIP – for VIP high rollers. Grand VIP – for VIP high rollers. Here you’ll have the dedicated non-language tables. German, Italian, Dutch, Flemish, French, Greek, Turkish and Russian are some of the languages. 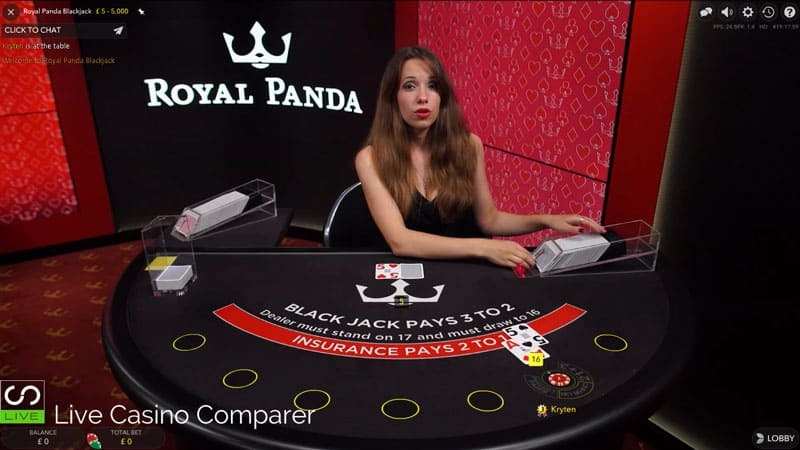 There are a few generic language tables, but most of them tend to be dedicated tables for individual casinos. 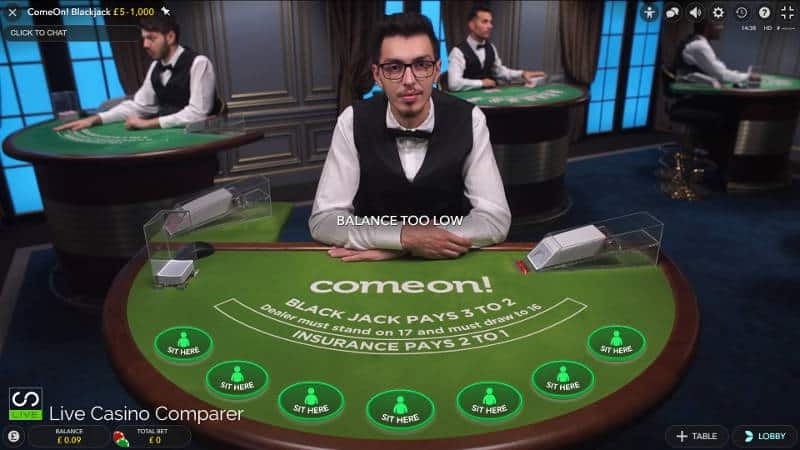 I guess these are the most costly option for the casinos and why so many just use the generic tables. Many casinos have made the investment and it’s well worth it from a players perspective. You’ll generally be able to get a seat, you’re in an environment that’s tailored for you by the casino. 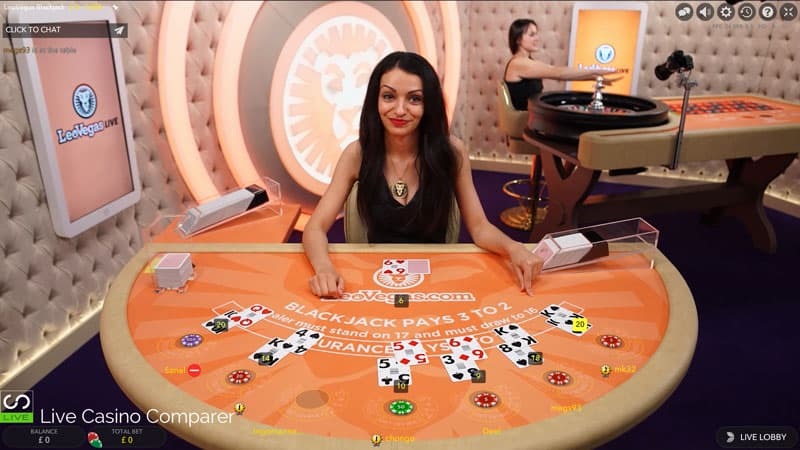 You’ll get specific on table promotions and the dealers will be the same, so you get to know them as you play. The images below represent the casinos that have dedicated environment. If for any reason you lose your connection when playing your hand rather than mucking the hand and you losing, a default action of Stand will be applied to your hand. That will either win or lose! It’s fairly basic I’m afraid, unlike some of the other providers who have a much fairer way of playing the hand.